Iron oxide copper gold ore deposits are important and highly valuable concentrations of copper, gold and uranium. 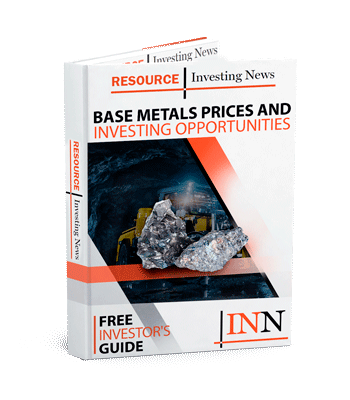 With an tendancy for being tremendous in size, relatively simple metallurgy and relatively high-grade, IOCG deposits can produce extremely profitable mines. Iron oxide copper gold ore deposits (IOCG) are important and highly valuable concentrations of copper, gold and uranium. IOCG represents a diverse variety of ore systems, formed in a variety of tectonic settings, geological environments, and with differing ore components. IOCG ore bodies range from around 10 million tonnes of contained ore, to 4,000 million tonnes or more, and have a grade of between 0.2 percent to 5 percent copper, with gold contents ranging from 0.1 to 3+ grams per tonne. The tremendous size, relatively simple metallurgy and relatively high grade IOCG deposits can produce extremely profitable mines. IOCG deposits are distinguished by their mineralogy. The ore minerals in these deposits are typically copper-iron sulfide chalcopyrite and gangue-pyrite, forming 10-15 percent of the rock mass. Gangue minerals are typically some form of iron oxide mineral, classically hematite. These deposits are primarily host copper, however, they may or may not contain economic levels of gold. IOCG deposits often also contain bismuth and rare earth metals. Within IOCG deposits, structural and/or stratigraphic controls are pronounced. Deposits are characteristically localized on fault bends and intersections, shear zones, rock contacts, breccia bodies, or as lithology-controlled replacements. There are still gaps in the understanding of the original tectonic settings of many of the world’s major IOCG districts. Iron oxide copper gold deposits typically form within ‘provinces’ where several deposits of similar style, timing and similar genesis form within similar geologic settings. IOCG deposits have been previously confused with porphyry systems. These deposits are now easily classified as separate deposit types, primarily by their substantial accumulations of iron oxide minerals, association with felsic-intermediate type intrusives, and the lack of the complex zonation in alteration mineral assemblies commonly associated with porphyry deposits. IOCG deposits occur in a wide range of host rocks. These host rocks display pronounced hydrothermal alteration in close proximity to the ore. Included in the spectrum of deposit types is dominant iron oxide types with magnetite and alteration characterized by minerals such as biotite, K-feldspar, and amphibole, as well as hematite-dominated systems where the main silicate alteration phases are sericite and chlorite. Carbonates are commonly abundant, particularly in association with, or postdating, copper bearing sulfides. Owned 100 percent by BHP Billiton (NYSE:BHP), the Olympic Dam mine is located 560 kilometers north of Adelaide, in Australia. It is a multi-mineral ore body, and the world’s fourth largest remaining copper deposit, fifth largest gold deposit and the largest uranium deposit. It also contains significant quantities of silver. The massive Olympic Dam ore body was discovered in 1975 and went into production in 1988. The operation consists of a fully-integrated underground mine and above-ground metallurgical complex. In 2011, BHP began contemplating a massive expansion plan that would have taken the mine’s output to 72 million tonnes per year. However, as the Advertiser reported on July 21, those plans are now off the table. 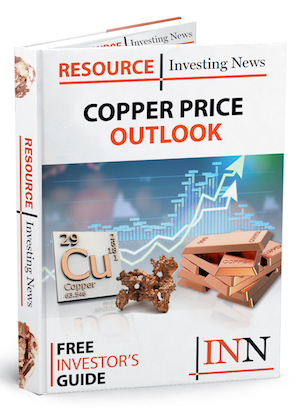 Red Metal Resources owns a few projects in the prolific Candelaria iron oxide copper-gold belt of Chile’s coastal Cordillera, host to Freeport McMoRan’s (NYSE:FCX) Candelaria Mine. OZ Minerals is an Australian based mining company with a focus on copper. The company owns and operates the Prominent Hill copper-gold mine in South Australia. It also holds a number of exploration plays in the area, including the Carrapateena IOCG deposit. EMX is precious and base metals prospect generator operating in some of the world’s most promising, yet under-explored frontier regions. Eurasian is aggressively adding high quality properties to its portfolios in Turkey, Europe, the Kyrgyz Republic, East Asia, United States, and Haiti. This article was originally published by the Investing News Network on March 3, 2011.